Use the browse button to find the picture on YOUR computer that you want to post. Then click on the photo you want to upload and then click open. Then just click add file button. 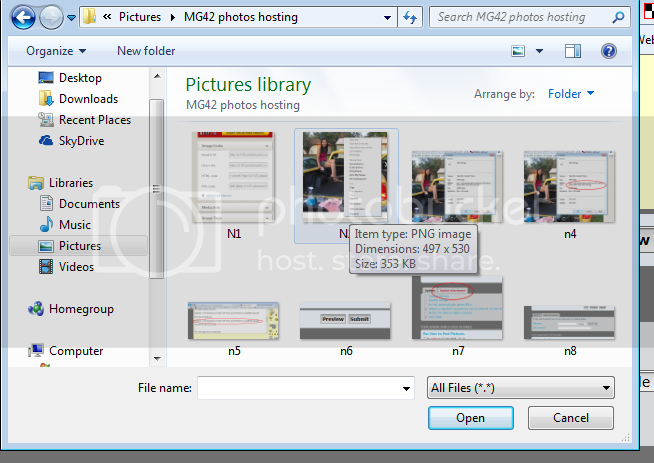 After the file uploads, preview your message to see the photo. Post your message if it's OK and your done. Several years ago when I was first asked to help rebuild the pics on this site I stated "Please put the pics on this site". Say What?? In the last ten years or so we have a LOT of photo hosting sites come and go. Folks would post their pics to their hosting site, then this or that, some anti-gun, so your free 4years are up, to ---- just now out of business..
Well this site is still Here.... Most pics posted to this site are still here... Ok, some pics (before my time) were lost during a site upgrade one time. Over 10 to 12 years ago. Other than that pics posted here are still here. Folks I know that your pic hosting site might be what you are used to or it's hard to post pics on this site. Whatever if you are going to be kind enough to share something with us then PLEASE take the extra time to learn and use this sites software and post on this site. In talking with John we have the room to host the pics. PLEASE post the pics to this site!!!! Or we look forward to seeing a lot more of the above. More on how to post to this site and such on a later time. Please if you are willing to share a pic then PLEASE post it to this site. Really so many have been lost using 3rd party pic hosting sites. Here is how to do it. Ok I don't know how to do this off a cell phone yet, I'll work on it. 1st take a pic, get it into your computer, jpeg works real well. 2nd look down under this box and find a tab marked "Attachments" click it. 4th now you might just be in your hard drive on your computer, if so hunt down that pic that you want to post, click it and it will upload. 5th now click the "Place inline" button. 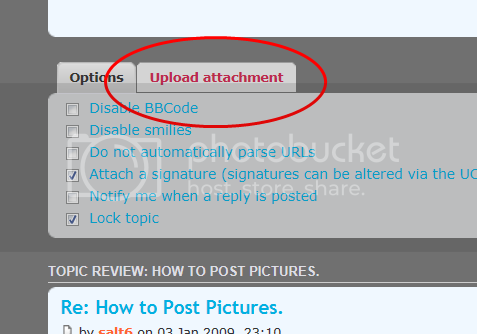 (attachment=0)"your pic name.jpg"(/attachment) NOTE I used ( ) not brackets which are for code. 7th that's it. click the preview button and check it out. Now you can cut and paste that line to move the pic where you want to place it. Like it??? Now click the submit button so the rest of us can see everything. Yes that's my mg42 and some of my stuff. I shot both 8mm and .308 that day.